Sawmill Pebble Plains, with Dr. Tim Krantz. 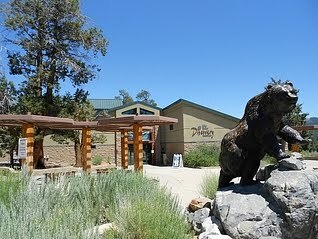 Meet at Big Bear Discovery Center by bear statue in front. at Discovery Center. Contact Steve Hartman if you wish to attend. b2) Field Trip: 2 pm - Big Bear botanical specialties - carbonate/limestone endemics, vernal annuals, with Dr. Tim Krantz. Meet at Big Bear Discovery Center by bear statue in front. b2) Dinner: 6:30 pm - (pre-register, $25) - Mexican buffet – Chicken or veggie fajitas, cheese enchiladas, carnitas, rice/beans, tortillas, chips/guacamole, dessert. 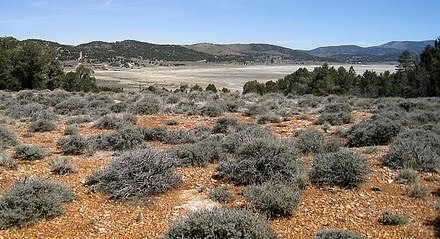 b) Field Trip: 9:00 am - Bluff Lake & Onyx Summit - with Orange County Chapter. Meet at Bluff Lake parking lot. Bring hat, sunscreen, camera, water, hiking shoes/boots. Link to field trip info.